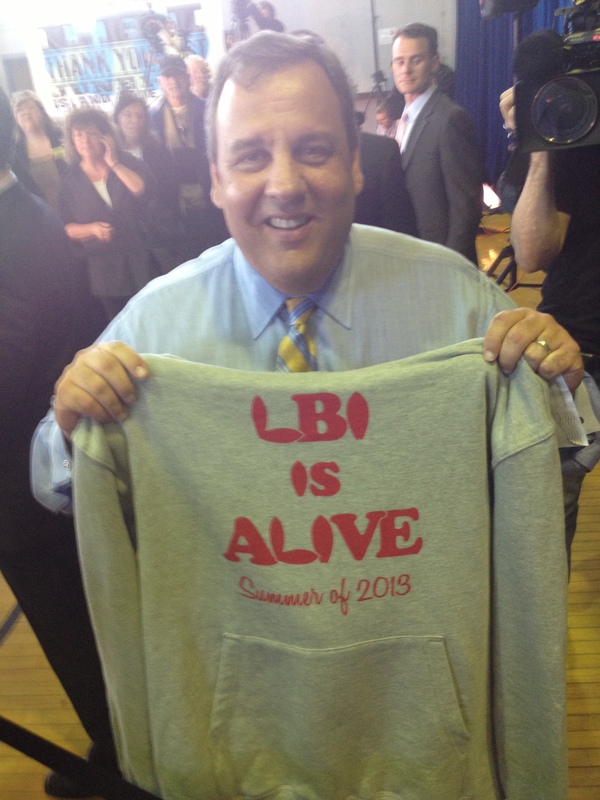 Be like the Gov and get your LBI is Alive apparel! 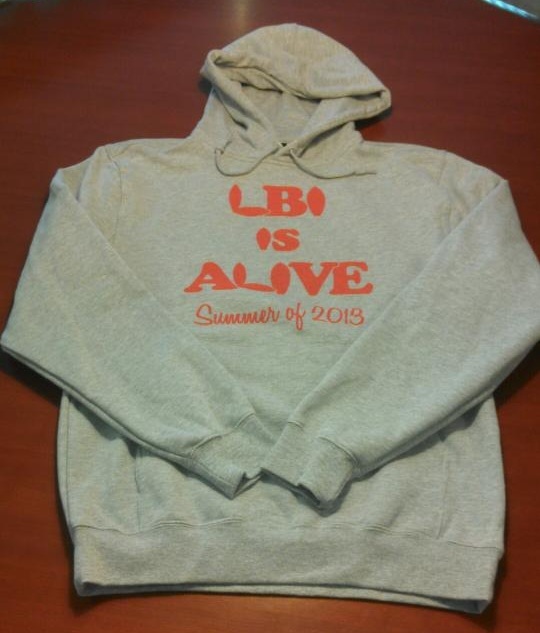 Email LBIisAlive@gmail.com to order your apparel. All apparel comes in adult small, medium, large, extra large and extra extra large. If you order and pick these up at Sand Dollar Real Estate, we can only accept cash. These will be available for pick up after February 25th. If you have a special order, it may take longer, but we will try to accommodate. 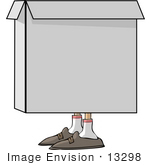 When you order through email, you will receive an email when it is available for pick up at Sand Dollar Real Estate, again cash only. Your order will be confirmed with a break down of apparel and S&H costs. Once payment is received, you will get an estimated delivery date. Thank you so much for your support and we can’t wait to see you this summer! So how much is a tshirt? You have $15 and $10 on this site. Thank you. The shirt is $15, if you want shipping it would be $10 S&H.If you are interested, please email me, we are currently placing another order this week. Great job! Thanks for what you are doing. I am interested in getting some of the yard signs that I saw on the island this past weekend. I live in the Philadelphia area and would live to put them up around here. The website doesn’t mention them. Thanks! Kristen, Thank you so much for your support! We gave the signs out for free to businesses the last couple months and, unfortunately, do not have anymore left. Sorry. But if you would like to help get the word out, the apparel mentioned above would be a great way to do so. You would essentially be LBI’s “Walking Billboards” to let people know that LBI is Alive and we expect to see them this summer! Thanks again! R u still selling t shirts ?? Yes the apparel is still available. 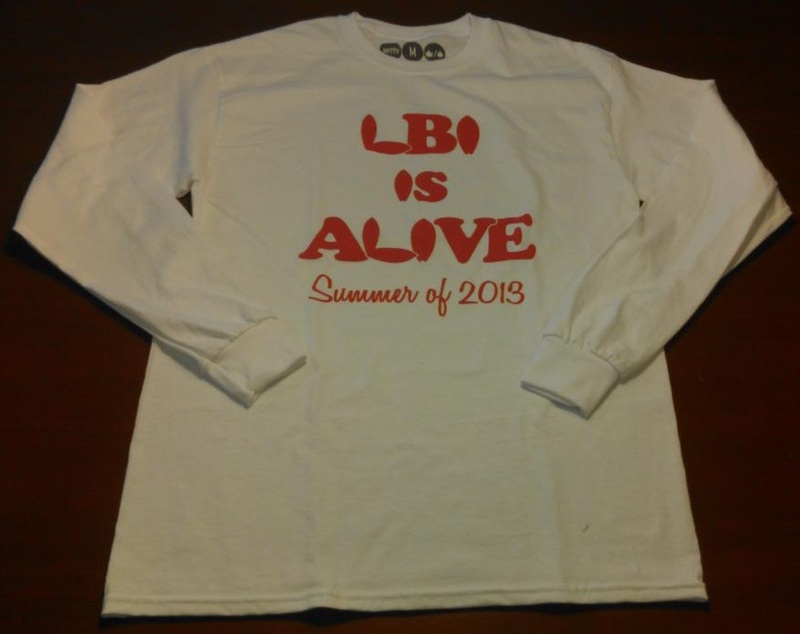 You can email LBIisAlive@gmail.com with your order or stop in Sand Dollar RE in Surf City and pick some up. Actually will be coming home to the island next week. Yay! 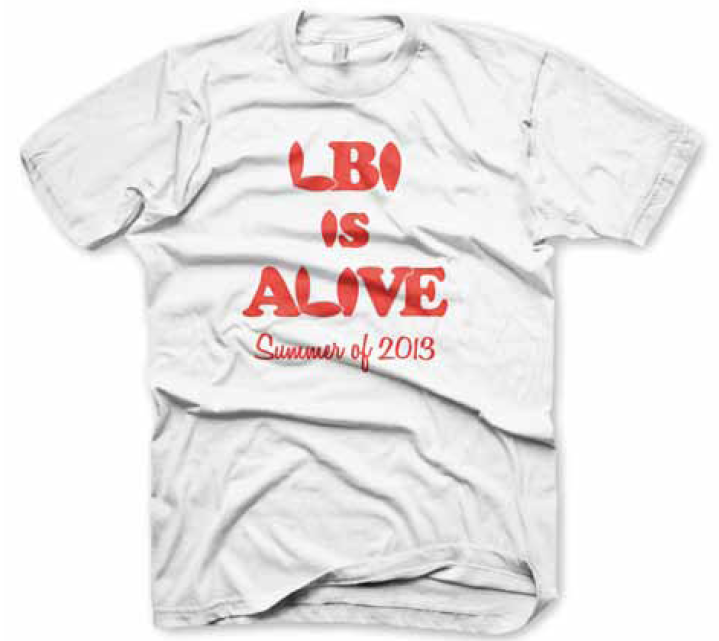 Can I purchase the LBI shirt in person somewhere? YAY! Yes you can stop in Sand Dollar Real Estate on North 3rd in Surf City and pick up a shirt. Remember, CASH only. Thank you!